b) probably already read Me Talk Pretty One Day, since it was published in 2000. If you are not familiar with David Sedaris' books, then I cannot even begin to do justice to them in a book review, and can only suggest that you immediately pick up any David Sedaris book that you can get your hands on. Doesn't matter which one; they are all snorting-coffee-out-your-nose funny. I have only read his book "When you are engulfed in flames" but I agree that David Sedaris is well worth a read. I am sure I am preaching to the choir, then, Kathy, but I highly recommend you read the rest of them! Chuckles . . . I haven't caught up with the latest two books but dig the ones I've read. Let's Explore Diabetes with Owls sounds so nutty on the surface . . . How do you think he compares with Augusten Burroughs ~ ? I have never actually read any Augusten Burroughs, Erik. This has obviously been an oversight. I second this emotion! Recently at the gym while working out I listened to a wonderful interview on Podcast with Rick Steves and David Sedaris- very interesting insights particularly on Paris and Tokyo, and general American/French cultural differences. 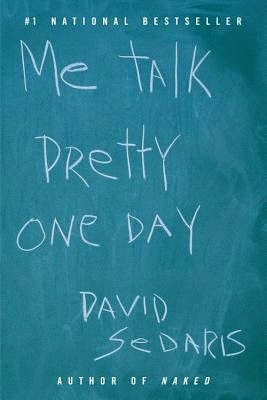 David Sedaris is one of my most-admired writers. He's very real and no-holds-barred. His gently chiding ironic observations on life are more affirming than condemning, and that's a very fine line to walk. You are so right, Phlegmmy, he has such a deft and wonderfully self-deprecating touch.